Businesses are considering greener, more eco-friendly company car fleets as a solution to rising motoring costs. Johan Verbois, general manager, fleet and remarketing, Toyota Motor Europe, explains how its two-day hybrid event allows organisations to appreciate the benefits of the latest Toyota and Lexus hybrid vehicles first-hand. The cost of petrol continues to soar across the globe. In the UK, prices hit a new high earlier this year as motorists faced paying an average of £6 a gallon at garage forecourts. The least environmentally friendly company car fleets cost more as a result of higher fuel prices and increased CO2-based taxation. Clearly, there are financial rewards for going green and businesses investing in sensible policies will reap the benefits. 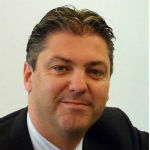 "There are many issues that today's financial environment presents," begins Johan Verbois, general manager, fleet and remarketing, Toyota Motor Europe (TME). "We believe that hybrid is a core technology to answer those challenges - and there is a clear demand for it." In 1997, Toyota introduced the Prius, the world's first mass-produced hybrid. This model set the company on a journey towards sustainability; it now delivers the widest range of green cars and has sold more than 3.3 million full-hybrid vehicles, representing more than 80% of all global eco-friendly sales. "Green thinking is not just a PR statement from us – it’s really part of our DNA." Toyota has been working to develop sustainable mobility for many years, driven by the vision to create the ultimate eco car - a vehicle that produces zero exhaust emissions and has no negative impact on the environment. "While we work towards it, we have a fundamental commitment to developing full-hybrid technology as the core technology," explains Verbois. "Today, it is already adapted to the use of alternative energy sources like electricity and hydrogen. Because we strongly believe that there is no one type vehicle for everybody, we want to deliver the right vehicle, at the right place and the right time." According to a 2010 survey of Lex Autolease, eight out of ten business drivers (78%) are confident that hybrid or electric vehicles will become the most popular company car choice in the coming years. TME recently hosted its European Toyota and Lexus Fleet Hybrid event, giving businesses the opportunity to learn about the latest developments in alternative powertrains, and what the company's vision and offering are in the short and long term. "The aim of this event was to give the attendees a full understanding of all necessary elements to make a thorough evaluation of the Toyota and Lexus hybrid offering," says Verbois. "We know a Toyota hybrid vehicle makes sense as a business car. It ticks all the boxes of the fleet operator. First of all because of its competitive cost of ownership, thanks to lower fuel consumption, lower maintenance costs and good residual values. "Secondly because we can offer a full range of Toyota and Lexus vehicles from small - like the upcoming Yaris Hybrid - to executive cars like GS and LS. "Thirdly we can say with confidence that business drivers also appreciate hybrids because of their stress-free, easy driving. Research clearly indicates that people who have driven a hybrid tend to go back again. They are loyal to these models because they like them." On the first day of the event there was a mixture of seminars and opportunities to drive a range of existing Toyota and Lexus hybrid vehicles: the Auris Hybrid, Prius, and the CT 200h and RX 450h. "During the seminar we've explained that green thinking is not just a PR statement from us," says Verbois. "It's really part of our DNA. We have a 360° approach for the whole vehicle life cycle from design and development, use on the roads, to end-of-life recycling." The following day, attendees visited the INTA proving ground, where customers could meet one of the Toyota hybrid engineers. In addition, they were given a privileged preview of the Toyota 2012 models, including the seven-seater Prius+ and the Prius Plug-in Hybrid, which has a bigger battery and a 15-mile all-electric range at a speed of 62mph. TME has maintained its environmental and technological leadership for more than a decade. With an unmatched range of eco-friendly vehicles, it seems unlikely that its premier position in the hybrid vehicle market will be challenged any time soon.